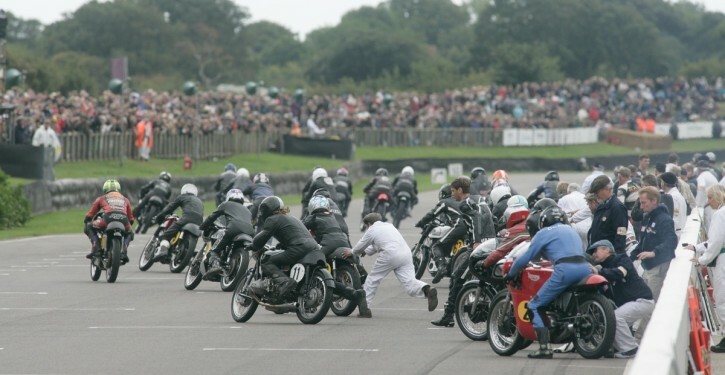 A superb line-up of legendary motorcycle racers, led by former World Champions Kevin Schwantz, Freddie Spencer and Troy Corser, will take part in the Barry Sheene Memorial Trophy at the Goodwood Revival on September 11-13. Schwantz, who won legions of fans with his no-holds-barred style on his way to the 500cc world title in 1993, and made his Revival debut last year on the ex-Geoff Duke Featherbed Norton, will ride a 1961 Manx Norton 500 with Rodney O’Connor. 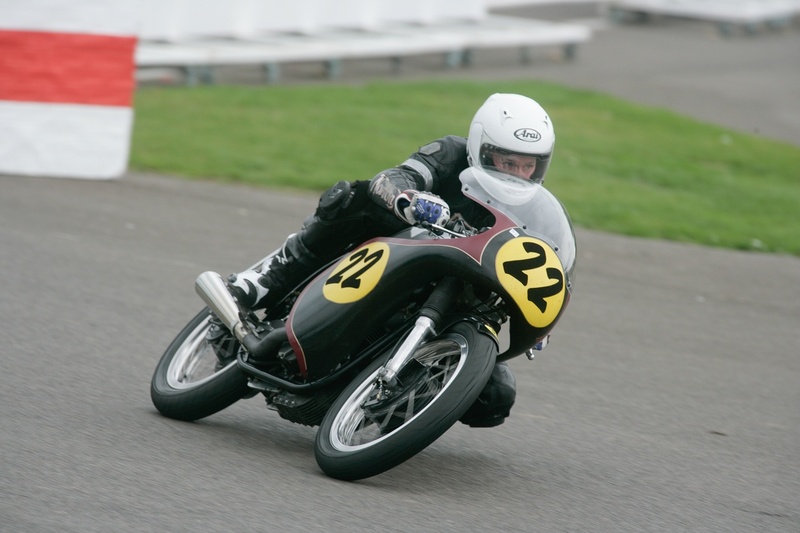 Fellow American Spencer, a two-time 500cc World Champion himself, will also be Norton-mounted, riding a 1962 model with entrant Julian Ide. Australian Corser, whose World Superbike crowns came in 1996 and 2005, is, as usual, BMW-mounted, and will have a rare Kaczor R50S at the disposal of himself and co-rider Sebastian Gutsch. Sheene’s close friend and team-mate during his 1977 500cc title-winning season, riding a 1962 Matchless G50 and McWilliams – twice a Barry Sheene Memorial Trophy winner – on a 1961 Norton. Isle of Man TT winners Mick Grant and Gary Johnson are reunited on the 1964 MV Agusta 500/3 on which they won at Goodwood in 2013, while another TT winner, Charlie Williams, has a 1962 Norton at his disposal. Two more TT victors, Ian Simpson and Michael Rutter, also return. Rutter will ride a 1962 Manx Norton with Simpson on a 1966 Hansen Honda CR450. Fellow road-racing favourites Maria Costello and Keith Amor will be attempting to upstage them on, respectively, a BMW RS54 and a Norton. British Superbike race winners James Whitham and Steve Plater will share a Matchless G50 while three more former front-runners from the championship, James Haydon, Glen Richards and Steve Brogan have, respectively, Matchless, MV Agusta and Norton machinery to power their ambitions during the weekend. Derek Crutchlow, father of MotoGP star Cal Crutchlow, and himself a former World Endurance Championship racer, will make his Revival debut on a Norton, as will Taylor Mackenzie, son of three-time British Superbike Champion Niall; the latter on a bike entered by GP winner Chas Mortimer. 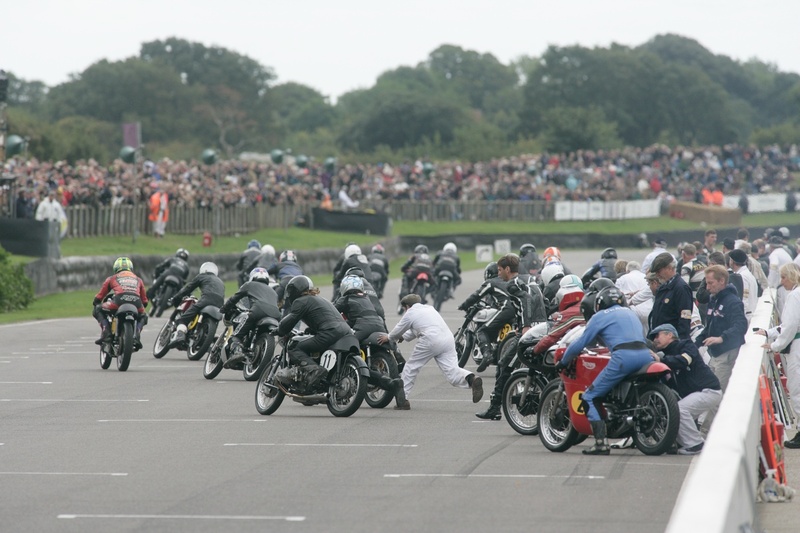 The Barry Sheene Memorial Trophy, which is this year for 500cc grand prix motorcycles of 1960-66, comprises one race on Saturday and one on Sunday, with a mandatory mid-race rider change in the pits for each bike and overall results decided on the aggregate finishing times of both races. 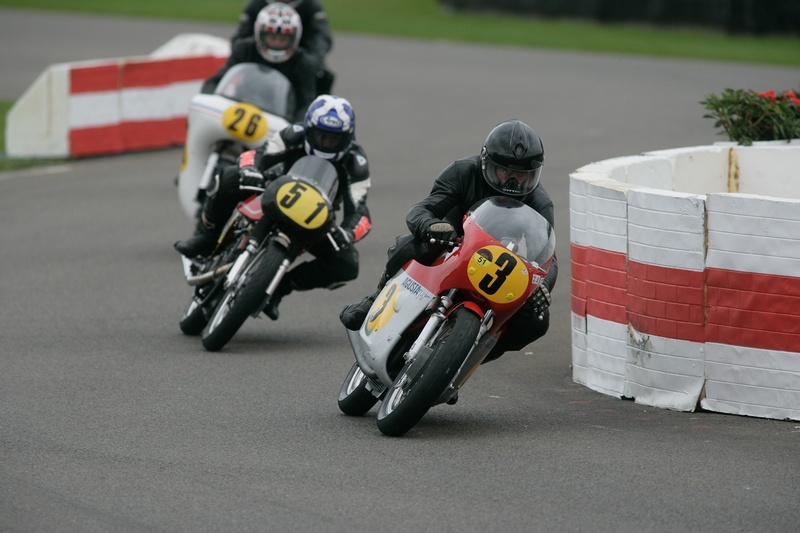 Previous winners include former 500cc World Champion Wayne Gardner, Barry Sheene himself, (when the race was known as the Lennox Cup), Mick Grant, Michael Rutter and Jeremy McWilliams.